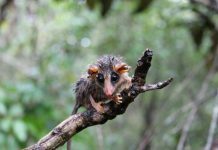 Do you have any idea what do Australian possums eat in the natural habitat? Australian possums, unlike North American Opossums, are divided into two main classes: brushtail possum and ringtail possum. We will be discussing diet of both these possums. Brushtail possums are mainly recognized by their bushy tail whereas ringtails have lightly furred tail. The common ringtail possum (Pselldocheirus peregrimts) is a pure herbivore. It likes to eat eucalyptus leaves, flowers, and fruits. Depends on the location, ringtail possums have varied diet. 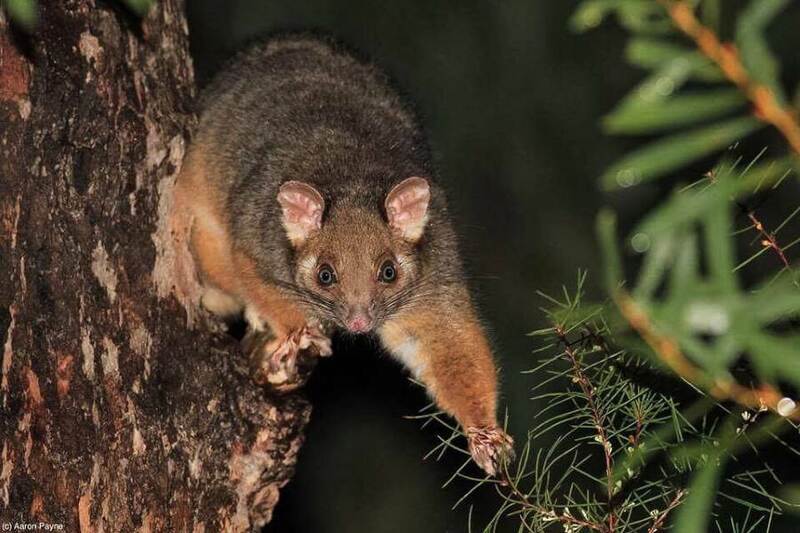 For those population that are found near human settlement particularly in Sydney and Adelaide, possums likely consume quite many flowers and fruits that occur in human gardens. Ringtail possums are entirely nocturnal. They will come out to feed during the middle of the night. Common ringtails aren’t known to feed in groups. Like most other possums, they prefer solitary lifestyle. 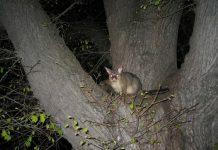 The Herbert ringtail possum is thought to rely on rainforest trees particularly those of the Pink Bloodwood and Cadaghi. It supplements its diet with some fruits and flowers including bacelliamts, Silver Quandong, and Melodinus bacellianus. The possum will also consume the flowers of a Bumpy Satin Ash tree. The captive possum will prefer to have cultivated fruits as well as Broad-leafed Peppercorn. Green ringtail possums eat a lot of different leaves. They fancy feeding on fig trees. Green ringtails are probably the only possums that consume fig trees. The possum’s diet also consists of Red Tulip Oak, Shinning-leafed Stinging Tree, False Stinger, Pepperwood, and Flame Kurrajong. Green ringtail possums can also emerge at day although they are mostly nocturnal. The staple diet of the rock ringtail is fruits and flowers. Rock ringtails make homes in rocky habitats which are abundant in trees and shrubs. 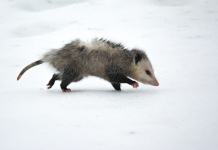 The possum is an exclusively a leaf-eater animal. It is known to feed on a variety of tree families such as Queensland Maple, Bollywood, and Brown Quandong. Lemuroid possums also eat flowers of Brown Bollywood. The common brushtail possum is probably the most common of the Australian possums. It will make habitats in open forests and woodlands. Common brushtails travel a lot on the ground. Eucalyptus leaves make up much of the possum’s diet. Possums supplement their diet with some fruits, bark, and buds. They can detoxify the eucalyptus leaves. Common brushtail possums can also consume meat but only occasionally. The mountain brushtail possum is thought to feed on leaves of mesophyllic shrubs as well as lichens, buds, bark, fungi and fruits. 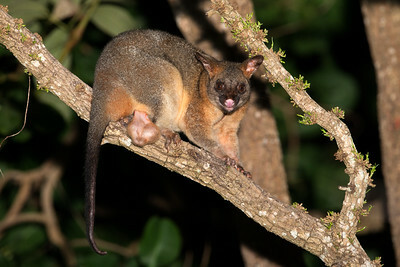 Mountain brushtails live in trees but they do spend a reasonable amount of time on the ground too. Unlike many other possums, the eastern pygmy-possum is primarily insectivorous. It is known to feed on nectar as well as spiders, termites, beetle larvae, grasshoppers, beetles, and mantises.